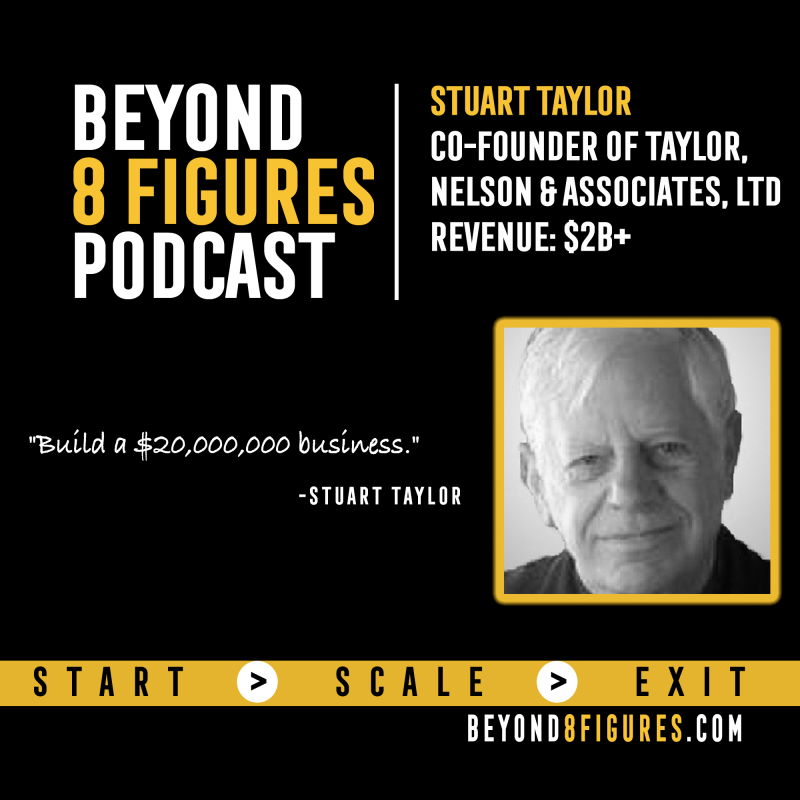 In today’s episode, Stuart Taylor talks about the process of business start-ups and how to build a strong business by knowing your personal strengths. Getting a business up and running and the networking that benefits a start-up business. Benefits of door-to-door sales and learning about the people your marketing reaches. When the best time is to exit your company to step away with a solid profit. Communication with your family and your business partners helps build a strong start-up that is well supported. Networking and how it supports your business as it’s getting off the ground. Be sure to know your strengths in your business and utilize them, instead of forcing yourself into a role that doesn’t fit your skillset. To exit strong, you want to leave with a profit, which means long term thinking and strategy building is crucial. Love yourself and make sure you are enjoying your work and bring people on who will love the positions they will take on. I show individuals who want to start their own business how to develop the mindset and the steps to do exactly that. I accomplish this through my unique course for entrepreneurs at entrepreneurshipforyou.com. I have dedicated my exceptionally long career to launching, growing, and leading successful businesses as a founder, investor, and coach in 30+ ventures around the world. Beginning my career as the personal assistant to IBM founder and CEO, Thomas Watson, Sr., I learned from one of the world’s preeminent entrepreneurs. I also served in the U.S. Army in California as a Military Police Officer, joined Steward, Dougal & Associates Inc. in New York as a marketing consultant, and then worked for the marketing research subsidiary of the Economist Newspaper in London. After that, I Co-Founded Taylor, Nelson & Associates Ltd, a marketing research firm in London which later became a $2B+ business, now TNSGlobal.com. I also launched an early private venture capital firm, Small Business Capital Fund, Ltd, investing in many successful businesses throughout the UK. Additional ventures included founding an investment consulting firm, Karifa Investments Ltd, in the UK based in Egypt. I was also a visiting lecturer at UC Berkeley’s GSB and started Nepenthe Investment Company Ltd. in Bermuda and SeniorSurfers Inc. in California. Currently, in addition to working with startups, I serve nonprofit institutions as a coach, mentor, and consultant and as a member of the elite Stanford’s GSB’S Alumni Consulting Team (ACT). My degrees include a Master of Business Administration from Stanford University, a Master’s Degree in International Finance from the London School of Economics and Political Science and a Bachelor of Arts in Psychology from Colgate University.